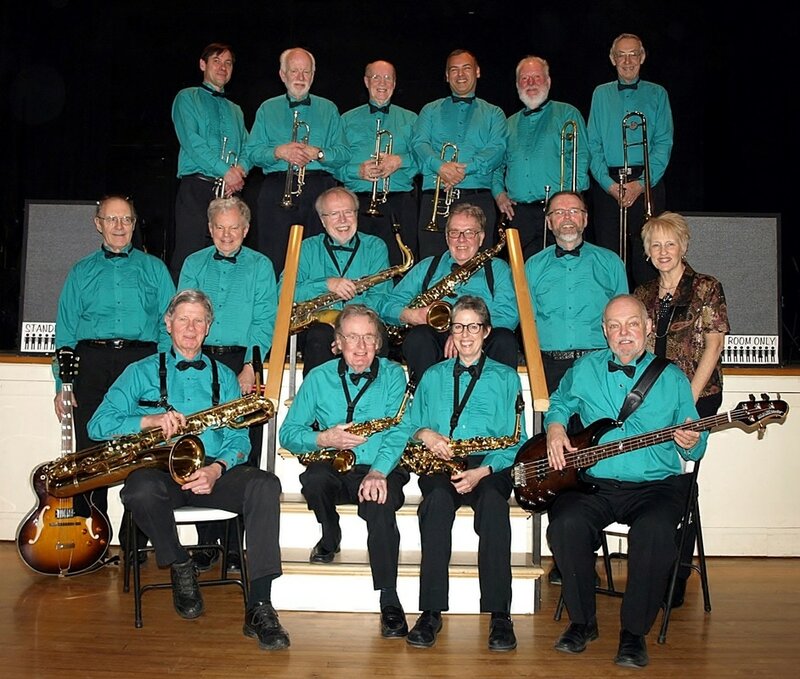 Standing Room Only is a classic big band whose members live in the Almonte area and in Ottawa. The band is best known for its popular Tea Dances, which it organizes and for which it provides the music. The Sunday afternoon tea dances - now in their 12th season - are held from October to April in the historic Almonte Old Town Hall and in Bate Hall in the All Saints Event Space in Ottawa..
Like us on Facebook to receive our posts in your news feed and events listing.